Acne is a real cosmetic problem. Many of the acne patients sometimes feel that they would never get rid of acne. With latest treatments, if you have patience, you can treat your acne successfully. But what if you also have oily skin? Oily Skin- What is it? Our skin has sebaceous glands. These glands produce sebum. This sebum keeps our skin well moisturized and protects skin from microbial infections. The sebum is mainly made of lipids and dead skin cells. The skin constantly produces the sebum. If you don't wash your hair for few days you will find that your hair is oily. That is sebum. What if your body produces more than required sebum? You get oily skin. Oily Skin- Why some people get it? Why some people have it? As we saw, the sebum makes the skin oily. Some of us have overactive sebaceous glands. That is mainly because of hormones that trigger excess sebum production. That is the reason many women get more oily skin during their menstrual periods. Apart from the regular care of the oily skin, talk to your doctor about any method to control the androgens that trigger sebum production. Oily skin is the right environment for the P.acnes bacteria to flourish. With more oil in the glands and on the skin, these bacteria infect many glands and produce acne. If you have oily skin, please manage it properly, otherwise, your chances of getting acne are high. Most people will suffer from acne at some point in their life. Everyone's skin condition and chemistry are different so there can be no set remedy to prevent or clear existing acne. The good news is that it can be treatable. People make the mistake of letting it run its course, thinking they will outgrow it. Sometimes that is just not good enough. With so many acne medications available over-the-counter or by prescription, it can be frustrating finding one that works. But something out there will work for you if you just keep trying. If you find that you are getting nowhere with your acne, try finding something more specific to your skin type. Common over-the-counter (OTC) acne medications available are Stri-dex, Clearasil, Oxy, Neutrogena On-the-Spot, Cetaphil, and Persa-Gel 10. These can be found in most drug and grocery stores. The prices may vary ($4-$14) but price does not necessarily mean it will work the best on your acne. There is also a variety in the form of the medication, such as gels, lotions, creams, and medicated pads. The form of the acne medication does not usually affect how well it treats your skin. Do not be discouraged if a product that you try makes your acne worse. Sometimes we must take a step back to make progress. Make a note of the ingredients in what you used and, in the future, only use medicines that do not contain any or much of this. You should always read the labels before purchasing a product. You wouldn't order a dish at a restaurant if you didn't know what was in it, would you? If your skin is oily, then you may choose to purchase something that is especially for treating oily skin. If your skin is too sensitive for OTC acne medications that you have tried, then perhaps you should consult a Dermatologist. Some forms of acne can not be treated without a prescription. The doctor may prescribe an oral antibiotic instead of a topical acne medication for severe cases. These are commonly used to decrease inflammation that can contribute to acne. Topical prescription acne medication for severe cases of acne usually contains retinoids. Retinoids prevent blackheads and whiteheads, while un-clogging your pores. The downside to this is that you could have increased sensitivity to the sun or develop an irritation. It is possible for fine lines and wrinkles to be reduced with this treatment, which is a bonus advantage to having younger and healthier looking skin. In addition to typical acne medication options, there are some home remedies include treating with Hydrogen Peroxide, toothpaste, or diluted alcohol. If you experiment with these, you may end up with a cheap solution to your acne. Peroxide could speed up the healing process of existing acne. It kills germs to drastically reduce inflammation. Toothpaste can be applied lightly on spots that appear before the actual acne has formed. Usually, this is left on overnight and washed off in the morning. It dries up excess oils that can contribute to the formation of acne. Pure alcohol should never be applied to the skin. However, if you dilute it half with water to gently wash your face, you can dry up excess oils without completely drying out your skin. Acne is a common problem and getting treated is nothing to be ashamed of. 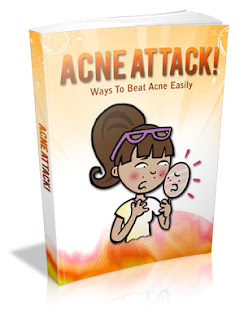 No one should have to live with the embarrassment of acne. There is an effective method out there for you, as long as you are willing to take the time to find it. Due to the incredibly unhealthy diets that have become the norm in modern day America, it is no wonder that vitamin deficiencies are so rampant. Only about 10-20% of Americans consume the recommended amount of the important vitamins and minerals on a daily basis. This vitamin deficiency has led to many problems in the bodies of Americans, and obviously the skin, the largest organ of the body, is affected by this deficiency as well. There are many vitamins that can all contribute to fighting and preventing the formation of acne on the skin. Different vitamins have different uses ranging from antioxidants (clearing the skin of harmful toxins) to antibacterial (fighting bacteria which can cause acne, helping to prevent it from forming) and more. This article will help to point out and explain which vitamins can be used to help against acne and what it is that they do. The main vitamins that help to combat acne are Vitamin A, the B Vitamins, Vitamin E, Vitamin C, Chromium and Zinc. Each of these vitamins helps to fight acne in a different way and when used in conjunction they can help greatly to reduce the affects of acne and even prevent its breakout altogether. If you decide to use these vitamins, most likely through form of supplements since trying to consume the right amounts through dieting can be difficult, it is extremely important to follow the dosage instructions and to never take too much of any vitamin. Taking too much of many vitamins can be toxic and can lead to illness and worse problems, so always be careful and patient. The main reason that each of these vitamins is so important is not only their assistance to fighting and preventing acne but also the simple fact that a deficiency in any single one of these vitamins can lead to acne breakouts. Because of this, the importance of consuming the correct amounts of these vitamins every day through either diet, which can be very difficult, or in supplement form is simply undeniable. By being knowledgeable of these vitamins and by attempting to meet the recommended amounts each day, a person can combat acne much more effectively and help to prevent it from occurring altogether. Regardless of age, acne is a condition of the sebaceous glands. These glands are attached to hair follicles and produce an oily substance called sebum. An acne lesion forms when a hair follicle becomes plugged with sebum and dead cells. The pathogenic (disease-causing) events in the sebaceous glands are believed to be due in large degree to changes in levels of androgenic (male) hormones in the body—a circumstance usually associated with the growth and development that occurs between the ages of 12 and 21. Therefore, it is important to look for an underlying cause of acne that occurs for the first time in adulthood. 3. Occurs for the first time in a person who had never previously had acne. * Medication. Some medications that can induce acne include anabolic steroids (sometimes used illegally by athletes to “bulk up”), some anti-epileptic medications, the anti-tuberculosis drugs isoniazid and rifampin, lithium and iodine-containing medications. * Chronic physical pressure on the skin. Chafing from the straps of a backpack or tucking a violin between the jaw and chin can cause chronic physical pressure on the skin and may induce a condition known as acne mechanica. * Chlorinated industrial chemicals. These may induce the occupational skin disorder known as chloracne. * Metabolic conditions. Changes in the hormonal balance, such as those brought about by pregnancy, menstruation or hormonal abnormalities can induce acne. It is also important to know that some lesions which appear to be acne are not acne at all. One skin condition that resembles acne is folliculitis, which occurs when the hair follicles become infected and inflamed. Folliculitis requires different treatment than acne. Acne that occurs in adulthood may be difficult to treat if there are multiple recurrences. Some patients with severe recurrent acne have undergone repeated courses of treatment with the potent systemic drug isotretinoin. Since adult acne may be difficult to treat, acne that appears for the first time in adulthood should be examined and treated by a dermatologist. According to certain studies, acne varies from quite mild to tremendously severe. It typically forms when the lining of the skin duct as well as the sebaceous glands start to work overtime. With the onset of acne, the lining of the duct actually shed cells which are then transported away to the shell of the skin by the sebum. Once the duct is blocked, it is when the sebum and cells start to amass, forming a plug known as comedo. Once the plug stays below the plane of the skin, whiteheads or “closed comedo” occurs. If the plug boosts and pops out of the skin duct, it is called “open comedo” or blackhead since the top is dark. As you may know, this is not absolutely dirt, thus it will not wash away. There are a lot of factors that contribute to the formation of acne, but in terms of its real cause, no one is actually certain as to what exactly causes acne to develop or why it starts in adolescence. However, factor like hereditary top the list. It has long been deemed as the most important factor that plays a large role in the acne’s development. As what most people believe, if a member of your family had acne, there is a great possibility that you will have acne too. Over the years acne has affected millions of people in their early teens and for many on into their adult life. Each year new acne treatments hit the market, each claiming to stop further acne breakouts. Yet no one medication for acne has been proven to do that. If you're like so many acne sufferers, and have a medicine cabinet full of various acne medications that don't work, you need to stop and get back to the basics of acne care. Your first step is to become knowledgeable about what acne is and how it develops. Visit your doctor, or better yet consult with a dermatologist about your acne condition. Your dermatologist may recommend over-the-counter medications for acne or if your acne is severe, you may need perscription acne medication. Much of the medications for acne available today consist of several products (systems for controlling acne), which includes an acne face wash, exfolliator or toner and some lotion. The combined use of these acne medications can have dramatic results in acne blemish control. Though they will likely not cure your acne, they will, when used properly, significantly lessen the number of acne breakouts. The face wash or cleanser is used to fight bacteria. Some are designed to combat bacteria, both on the surface and within the pores. At the same time many contain tiny granules to help exfoliate dead skin cells and impurities. The two most common ingredients of face washes is either benzoyl peroxide or salicylic acid. Each of these ingredients approach acne control in different ways. Benzoyl peroxide used as an antiseptic to lessen the number of surface bacteria and skin yeasts. It is available as a gel, cream, lotion or face wash in varying concentrations. Salicylic acid helps to slow down shedding skin cells inside the follicle, which in turn reducing clogging. It also helps breakdown, both blackheads and white heads. Salicylic acid is available in varying forms, like gels, lotions and medicated pads (Stridex) and in varying concentrations. The purpose of this gel or cream is to remove dead skin cells, unclog pores and remove excess oil. This one step is essential to acne blemish control. While not visible to the naked eye, clogging of the pores are a major contributor to acne breakouts. Again, depending on the manufacturer, either benzoyl peroxide or salicylic acid or another medication for acne may be included in this step. The final step is applying a lotion. These lotions are usually oil free and used to moisturerize, re-hydrate and reduce irritation of your skin. Some lotions may contain benzoyl peroxide to heal inflammation, which helps prevent future breakouts. No matter which medication for acne you choose to use, following the acne treatment listed above will help to lessen your acne breakouts. Each step is an important step in active acne blemish control. The combined use of these medications can help to keep your skin clear and acne free. As with use of any medications, you should always consult with your doctor or dermatologists before starting any acne care treatment. Acne is cured by acne medication, right? The answer is: when you have acne, it is not always advisable to head on to the nearest drugstore and buy acne medication. Store-bought acne products aren't usually the best choice, as they can contain various chemicals that may only irritate the skin. Since skin differs from person to person, there is never any guarantee that an acne product that worked for your friend would work for you. In fact, your friend's acne medication may even be detrimental to your skin's integrity, and might cause a new break-out. The chemicals found in artificial acne products, even those that purport to make your acne disappear in a matter of days, are often too strong that in the long run, they will only be harmful to your skin and cause excessive dryness. Some acne medication will even make you dependent so you would have a breakout each time you attempt to stop using it. Indeed, there are times when it's better to just opt for acne home remedies. They may take longer to take effect, but at least you will not have to suffer from any hidden long-term effects. Using acne home remedies is also much more affordable than using those acne products, which usually come with exorbitant prices. The use of tea tree oil in treating acne has always been rather popular. Tea tree oil contains terpinen-4-ol which makes it a good anti-bacterial agent. Applied on your skin, specifically on the lesions caused by acne, tea tree oil can kill the bacteria Propionibacterium Acnes. Remember, however, that if you're going to use tea tree oil on your acne lesions, dilute the tea tree oil first in water before applying it topically. Another acne home remedy with anti-bacterial properties is honey. Honey is most commonly used for the treatment of colds, but few people know that it may also be used to treat acne. All you need to do is to apply a film of honey on your face, let it settle and then rinse it off thoroughly. You only have to do this once or twice a week. Honey is an all-natural acne remedy, so you will not have to worry about irritation. Kombucha tea is another popular natural treatment for acne. Drinking one glass of Kombucha tea a day can really improve your skin's immune system. Since this particular tea has antibacterial properties, it can also kill the infection in the red and inflamed pustules that are caused by acne. What's great about Kombucha tea is that it's not just recommended for treating acne, but also for treating various other conditions. You're guaranteed to live a healthier life if you take Kombucha Tea everyday. 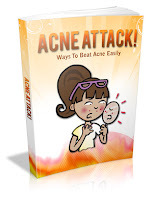 Another good home remedy for acne is facial steam. All you need to do is to mix 2 to 4 tablespoons of dry herbs and 2 quarts of water in a pot. You can use herbs like lavender, red clover and strawberry. Personally, I prefer lavender since it has antibacterial properties and can stimulate the growth of healthy cells. Allow the mixture in the pot to steam and then sit at a comfortable distance from the steam. Immerse your face in the steam for fifteen minutes. The heat will open up your pores and facilitate the removal of oil and bacteria. When you're done with your facial steam acne remedy, pat your face with cool water to close up the pores and then pat your face dry with a clean towel. Getting Acne Clear is no longer a pipe dream or reserved for those that can afford the latest laser surgery treatments. Use the four remedies in this article, and you could also clear your acne for good. Acne is often thought of as a teenage dilemma, and while it is true that acne appears most often during the teenage years, it is arguably just as true that there are a growing number of individuals that suffer from adult acne. Adults in their twenties, all the way up to their fifties can still experience acne flare-ups. And adult acne can have just as many negative effects on a person as teenage acne. Possibly even more so, as the stress of career and family adds to the strain of living with an unsightly skin problem. Mental stress can be one of the major causes of acne in adults. It is not a surprise in the slightest that women are often more likely to suffer from adult acne than men, as it has been shown that women have much more stress in their day to day lifestyle, not to mention that they are prone to hormonal imbalances, especially during times such as their menstrual cycle and pregnancy. Just as in teens, hormones play an important factor in the onset and exacerbation of adult acne. The environmental factors that surround a person, paired with the individual's lifestyle can also play a huge role in the appearance of adult acne. An improper diet or behaviors such as smoking and drinking affect the skin's condition and resistance to acne, as well as other diseases. Prevention is the only obvious way to go when dealing with adult acne. A proper diet, paired with plenty of water and rest is a good start. Trying to relieve stress and maintaining proper skin care and hygiene can also help to prevent acne from occurring. But what about the pimples that you may already have? There are many treatments available for people who have adult acne. Anti-acne medications, certain skin care products, and even laser surgery are just a few of the many treatments available for acne on the market today. Visiting a qualified doctor or dermatologist is the only way to determine how severe your acne really is and to find the proper treament available for you. The prevalence of acne and pimples is generally thought to be problems of the teenage and prepubescent strata of the population, but it is not unusual to see minor cases of adult acne. And this is normally the situation faced by many adults who scaled through their teenage period without any visible sign of acne that plagued their mates, only to discover to discover that they have been afflicted by adult acne at a stage in they assumed they are free from acne foe ever. For these set of people, the embarrassment and confusion that results from this is better left unsaid, and the recurring question they keep asking themselves is isn't acne supposed to be an adolescent problem. Established facts however points otherwise, adult acne is more common than what people imagined. Statistics show that nearly 40% of acne medications in America are bought and used by a class we thought are free from the condition- adults. There are several reasons why acne occurs, and the most common one many associated as the primary reason- poor hygiene- is nothing but a myth. The main causative agent for almost all acne, and that includes adult acne is as a result of hormonal imbalances or blockages of pores on the skin. Though an additional reason why adult acne occurs may be due to the oil of the sebaceous glands, or faulty closing of the hair ducts on the body, especially the face. The good news however is that almost all cases of acne can be treated. This should serve as a soothing balm to most adults, who embarrassed by the onset of adult acne, use any medication they can lay their hands on at the local drug store. This has been proved in several cases to worse the situation, because most of the medications were produced solely to combat acne in young people. Thus they may not have the ability to act on adult acne. While there might be no significant difference in form and appearance between adult acne and the regular one, if you are afflicted with adult acne, a smart move will be to consult a dermatologist. This skin physician will be able to explain what caused the adult acne in the first place. Once the diagnosis has been made, the physician can then suggest a prescription drug that can eliminate the condition permanently. But in reality, any adult that is afflicted by adult acne need not be embarrassed by the problem. As stated earlier, the prevalence of adult acne is more common than imagined, so the best option still remain going to a dermatologist to eliminate the condition instead of resorting to self medication and spending a fortune in the process, nor forgetting the anxiety and fear that are sure to happen when you discover the onset signs of acne.